What I learned my Freshman Year. High school is an intimidating place for most teenagers. There are more freedoms and opportunities to express yourself, and although this is wonderful and exciting, it’s also when everyone is doing the same thing you are…trying to find his or her path. Teachers expect a lot of you. When you are assigned homework, you are expected to have it done correctly by the date the teacher said it is due. Saying, “I forgot” or “I was busy” will not be accepted. School Faculty. Teachers want you to grow in your knowledge of academics, kindness, curiosity, and personality. They’re excited to see what you will do with what you have learned and how you will progress through life. Most all of the adults in your school want to see how you will mature and they want what’s best for you. Grades Matter. In middle school you can slack off and not have to worry about your grades, but when you hit high school it’s all about grades. 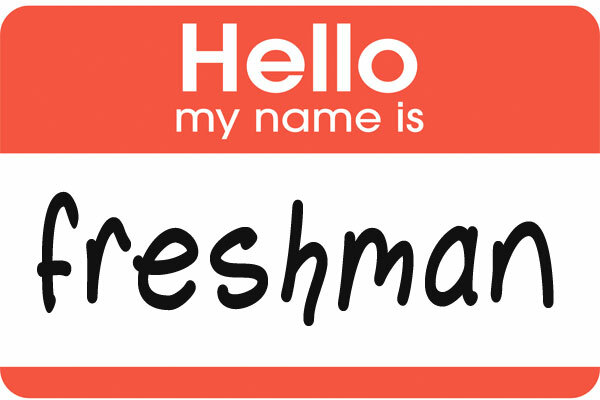 Colleges are looking at you even in your freshman year. Your GPA and class rank are important for scholarships and extracurricular activities. Extra Activities. Though clubs and community projects look great on college applications, but that’s not the only reason to do them. You will meet so many new, exciting, amazing people. You are on your own. Look out for yourself; no one else will. Teachers make you deal with responsibility, and they don’t baby you. You must take responsibility. No one will help you but yourself. Take chances; when it’s too late, it’s too late. High school is going to fly by. All the things you thought you had time to do, you don’t. Make sure you write down deadlines so you don’t have to worry about turning in things late. There’s a lot we think we know. As freshmen we are coming to high school after just being the oldest at our middle school, so we think we know everything. We know nothing. There will be heartbreak, but hopefully you will have people who support you through all of your mistakes. Even if they warned you not to make those mistakes, some will still be there. It may seem hopeless and like there is no light to survive the darkness, but eventually you will get out. Would You Turn Back Time? Big Talk…How Do You Best Connect with Others?